A new week brings two new videos to BOFCA’s Official YouTube Channel. First up: MEET BOFCA continues with an introduction to critic and proud member Evan Crean. 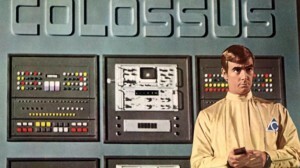 Next: Daniel M. Kimmel gives a classic recommendation to one of the great overlooked 1970′s sci-fi thrillers, COLOSSUS: THE FORBIN PROJECT. Hit the jump to check out the full videos, and make sure to subscribe for more exclusive content!